An unplanned Perfect trip to Pacific Mall | Shopping at Pacific Mall, Delhi | The Shopaholic Diaries - Indian Fashion, Shopping and Lifestyle Blog ! Today, I am penning down not just for you to read but to run fast and grab some amazing offers at Pacific Mall. Recently I visited Pacific Mall, Tagore Garden to meet one of my friends and likewise she was again late, but as you guys know, waiting at Shopping Mall is not that difficult for a girl especially when she is a shopaholic like me. 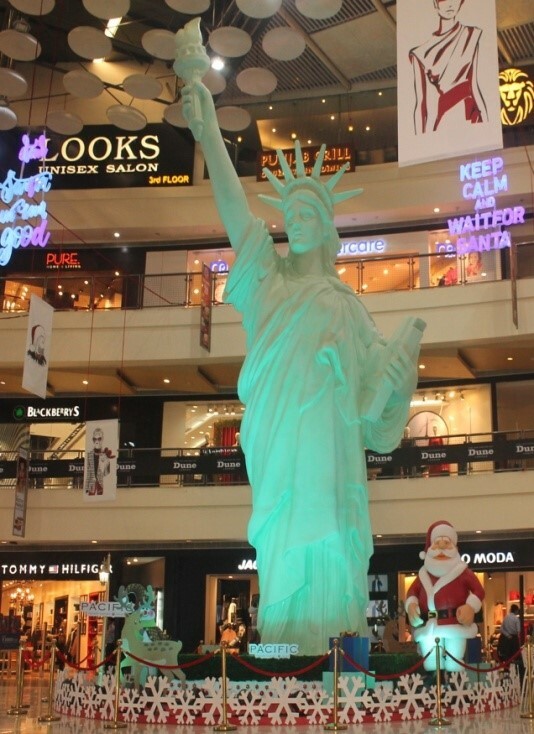 I was roaming around and clicking some pictures at the Atrium of the mall which had a huge replica of “Statue of Liberty” standing straight and it was something unseen in Delhi. I was already amazed by the beauty and grandness of the Statue and suddenly I encountered a board of Sale which made me excited and forget every other thing. And what else a Shopaholic can demand for? I immediately steeped inside my constant Brand Zara which gives me the most desirable fit and also offers vast range of collection. From there I shopped a formal check Blazer and amazing trousers and a pair of shoe to uplift my attire. And while I reached at the billing counter, a Salesman told me about the ongoing offer in the mall, he said if one could manage to buy worth of Rs 15,000 from anywhere in the Mall he/she can get a chance to win couple trip to Europe and the offer could be availed till December 31st. Then I decided to check out every new store opened in the Mall and there are some 18 new stores in the Mall…Oh wow!! By the time my friend also arrived and both of us visited every store in the Mall and actually managed to shop more than Rs 15,000. 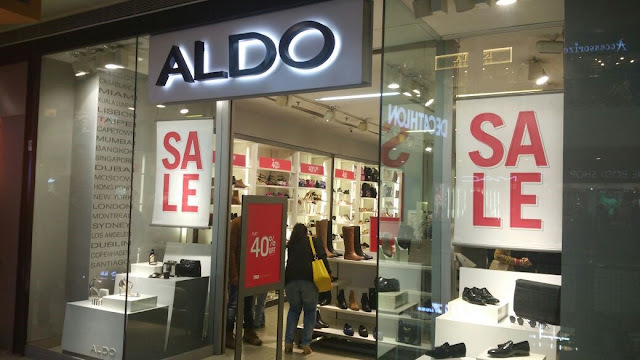 Though discounts & offers were running everywhere but still the collections at the stores were not giving a feel of end of season sale. So, we actually decided not to shop for ourselves only but to shop for family and friends as Christmas and New Year is right at the corner and nevertheless it is the perfect time to surprise and pamper your loved ones. We got a beautiful piece of chandelier from Home Décor and I bought some toys for my nephew from Hamleys to gift on Christmas. And a beautiful Saree for my mom from Meena Bazar is foremost the best present I could get for her. 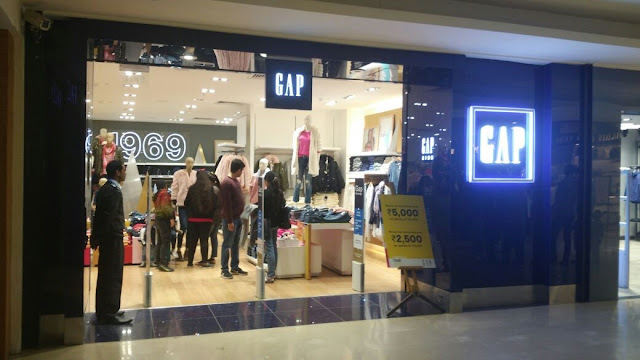 GAP – Positioned on the ground floor, the new store features an entry spanning the width of the store which eliminates a window facade. This allows you to see directly into the store and engage with the product quickly. The range features ‘Feel Good Jeans’, and as well as denim and leggings in an array of colors and prints. 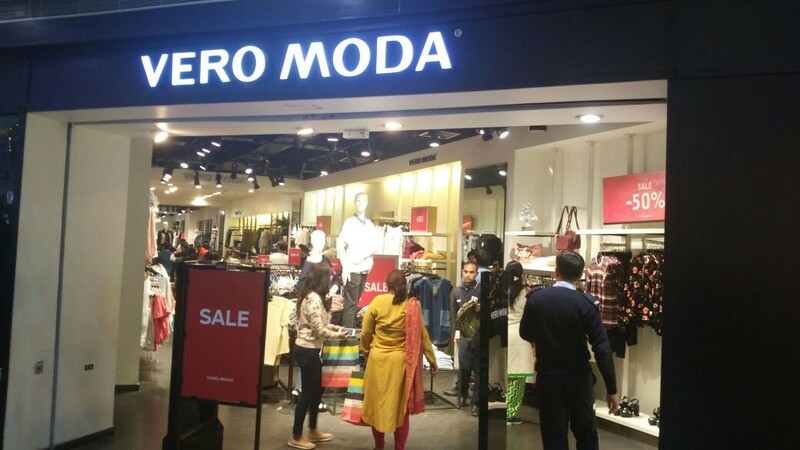 Vero Moda –Elegance and Modernity could be well defined at Vero Moda. The new exclusive collection was oh so breathtaking; I got 2 dresses from the store which have become my new favorites. And if you want to check out my love for Vero Moda, go through my Lookbook and you will find numerous looks that I styled using the great outfits the brand offers. Go and check out the best ones now and add something nice to your wardrobe!! ALDO – ALDO positioned on the ground floor in the Mall can never disappoint you, extensive range and smooth leather base hand bags with iconic designs can also make your college going casuals little more stylish; while they also have the best boots in town to beat the chill this season. 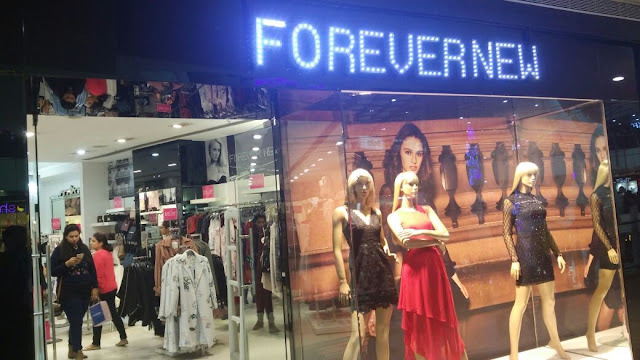 Forever New – Collection in Forever New can make you go crazy and when the store has some amazing winter collection, it is undoubtedly a cherry on the cake. I will suggest if your Christmas and New Year’s shopping is still not done, you should not skip shopping from the brand. And if you are ever confused about buying the perfect party dress, visit Forever New and you'll definitely not come back empty handed. 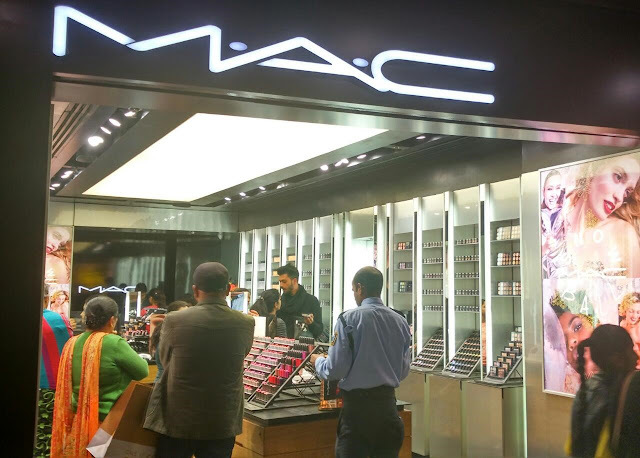 MAC – If you follow me on Instagram regularly, you would have known it now that my favorite make up brand ever is MAC, which is the world leader in color cosmetics with an exclusive high quality range. And as a Blogger, I believe to use something which has huge range of advanced and professional products and wants to suggest the same. I don’t want to suggest anything which could affect your skin in anyway. So, I will suggest you to visit MAC once and get the best make up for you. love to read beauty,makeup and fashion blogs. Glad to read this article. it is amazing get to know new brands and product . I have been to Delhi only twice but have never been to this mall. This pacific mall looks same just like PVR MALL in surat. You didn't posted pictures of the blazer you shopped from Zara? Nice to explore Pacific Mall through this article and yes ofcourse an unplanned things will always be great. I love this place. It has the best collection and every big brand.